Syncro System was well represented at MCE Expocomfort, the international biennial exhibition held in the Milan Exhibition Centre. 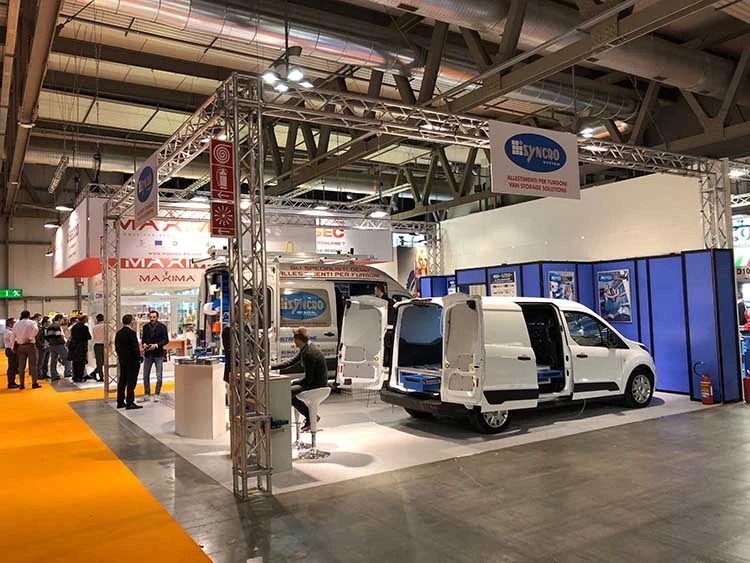 The Syncro stand included two demo vans equipped with all the most popular racking options for commercial vehicle operators. 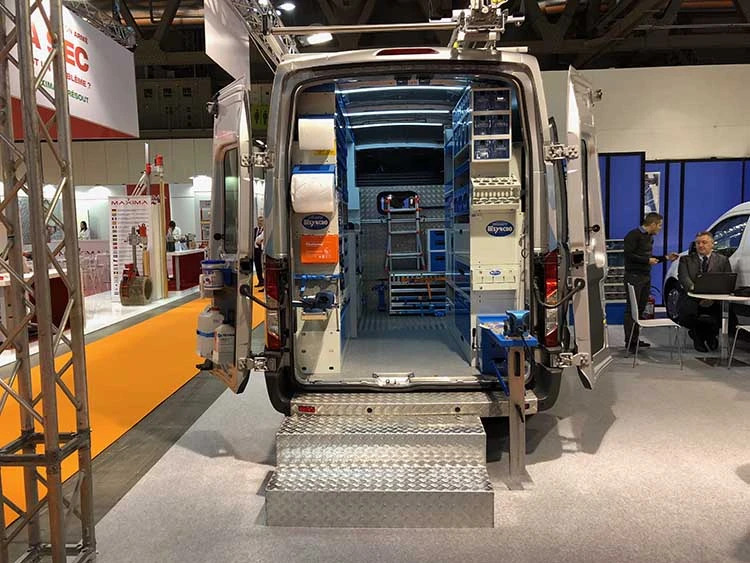 These photos show the demo vans displayed in hall 18 of the Milan Exhibition Centre. 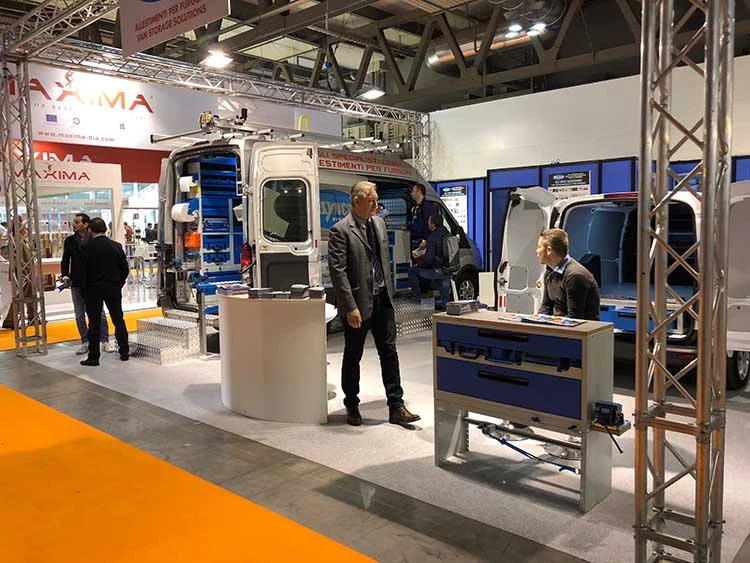 One large van was fitted out as a mobile workshop and contained all the latest products of the Syncro Group for a super-functional load compartment. A second, small van was fitted out more simply with an underfloor drawer system, a great space-saving solution from Syncro. Both vehicles were equipped with Syncro's interior liners, an essential part of any good van racking system. MCE, the international biennial exposition dedicated to domestic and industrial comfort systems, air conditioning and renewable energy, is in its 41st edition this year. The event’s organizers claim around 150,000 specialist visitors, attracted by the stands of around 1600 Italian and foreign companies. The exhibition lasted for four days and was complemented by an impressive series of conferences and workshops on themes related to comfort in buildings. MCE Expocomfort is an important showcase for Syncro System because Syncro products are designed largely with system installers in mind! In the Milan Exhibition Centre, Syncro was at stand C09-D10 in Hall 18, between 9:00 and 18:30, until 18 March 2018. 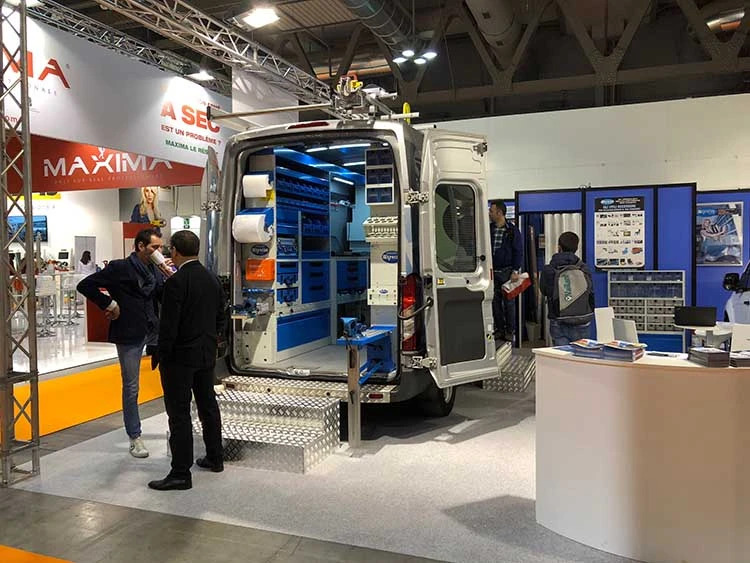 Visitors were able to view demo vans, receive detailed information about Syncro racking, see it in action for themselves and even request a no-obligation quote for installing a custom racking system in their own vans.